Every month the on-going civil conservation movement in the Sierra Gorda strives the inform about the breadth of action, collaboration, and opportunities. Often we have to edit out a lot of valuable fieldwork and take only the most eye catching for a wider public, sharing a holistic vision of protecting nature and involving the local residents in carrying out conservation on their lands. What follows is a collection of the last six months of Newsletters from the Alliance of civil society organizations in the Sierra Gorda Biosphere Reserve, Queretaro, Mexico. 1) Friends, this week you will receive a press release with international news. Please be sure to take note of it and share it with others. 3) Buy healthy and seasonal food products in the Sierra Gorda by clicking here. 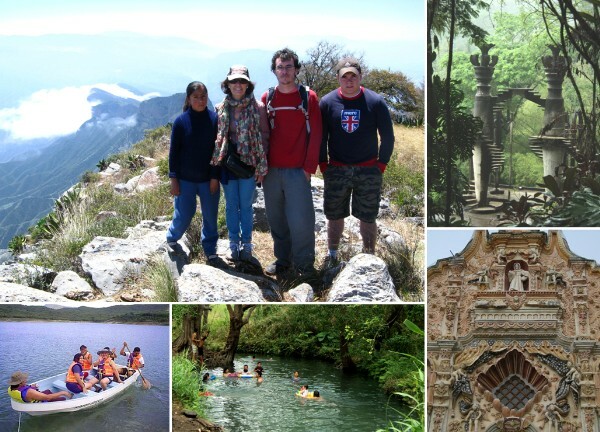 Sierra Gorda Ecotours takes you closer to nature, mountain culture and ecological rural living. 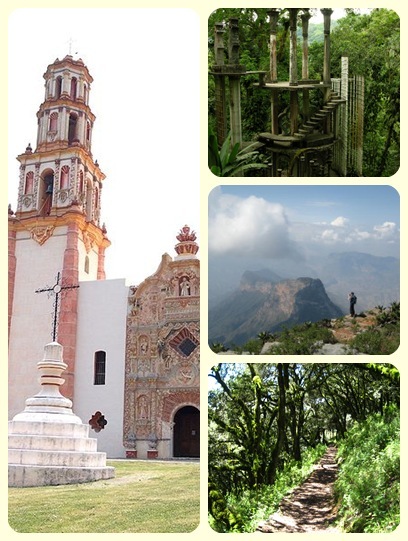 Spend a weekend or take a week to explore Sierra Gorda’s Biosphere Reserve in the north of Querétaro State. “The unique geology and ecology that you find in the Sierra Gorda, along with the historical and cultural richness makes it a destination like no other on the planet”, said a tourist from California, USA. “I found Sierra Gorda Ecotour’s address on the internet when I was looking for a way to visit the Sierra Gorda’s missions. We thought it would be enjoyable to stay in the eco-lodges and so we got in touch with you…we never imagined what this would really mean…The people from the communities looked after with refreshing amounts of attention, they we truly kind”, said a family from Jalisco. Grupo Ecológico Sierra Gorda and Viva Sierra Gorda attended The Social Capital Markets Forum in Europe (SOCAP Europe) inaugurated by Princess Maxima of Holland. Without a doubt, life has many paths; some are very formal and academic while others are financial. These paths are all detached from Nature. They are worlds in which capital is only counted in money and where other factors and pleasures have no place. Financial returns cannot buy tranquillity of conscience, peace or the pleasure of service, of giving or of receiving happiness. We are looking for investors who love the Earth and who understand the urgency to protect conservation areas at risk to destruction. We need financial investment to safeguard the planet’s natural heritage. We need to creatively generate various innovative means and schemes to restore and conserve the planet’s irreplaceable bio-capacity. This is what I was looking for at the SOCAP forum in Amsterdam and, for the first time, I found topics on Biosphere Reserves and soil regeneration at a social investment forum. In conclusion, due to the fact that there are an unlimited number of paths in life, we are lucky enough to have found one that is closer to giving economic value to our natural infrastructure. Long live the Earth! Photo: Princess Máxima of Holland, getting to know Sierra Gorda’s ecosystem, ecotourism, educational and craft products and services while talking to Pati Ruiz Corzo (Grupo Ecológico Sierra Gorda I.A.P.) and Laura Pérez-Arce (Viva Sierra Gorda, a project of Earth Island Institute). Last week, one of the Bosque Sustentable A.C. team, J.Jesús Castillo Rios, participated in a course on “The bacteriological and physical-chemical monitoring of water” in Zitacuaro, Michoacán. The course was organized by Global Water Watch (a global network of community groups to monitor water) and was sponsored by FMCNAC (Mexican Fund for the Conservation of Nature) and theGonzálo Rio Arronte I.A.P.Foundation. The Gonzálo Rio Arronte I.A.P.Foundation, a long-standing and excellent partner of our work, asked that one of our team attend the course in order to complete the commitment to monitor and check water sources in the Sierra Gorda Biosphere Reserve. We hope to become certified once we have gained experience and put what we learnt on the course into action, which will, without a doubt, result in excellent tools for the future. This past month, some members of Bosque Sustentable have been giving skill-building workshops in a wide range of communities in the region. They are principally teaching them how to produce and use biofertilizer and nutritional blocks for cows. Other workers have designed cultivation land according to Keylines so that their lands capture rain water instead of the rain taking off with their land. In addition, we have continued to look for lands to reforest and we have decided to use a combination of pines, nut trees, maguey and nopal cactus, depending on the climate and inclination of each location. Within some of these reforestation plots, our promoters have assisted in the construction of small water pools to collect rain water and fire breaks in woodland. Friends from the communities of Agua Amarga and el Ranchito, Pinal de Amoles are participating in a pilot that involves planting corn in paper cones. This is an innovative technique that provides the corn plant with a high level of nutrients in the form of mineralized compost and protects it from drying out. They are looking after the plants in small spaces within their home, where they can help them by watering them regularly. When the rainy season begins, they will be planted by making a vertical hole using a sowing stick “coa”, that significantly reduces the working of the land, which in turn reduces losses and damages to the invaluable soil. On 15th June, we held a regional meeting during which different educational networks linked up, including members from municipal and state health sectors. Roberto Pedraza, Marina Rendón, Mario Pedraza and Olivia Pérez acted as facilitators of the event, speaking on subjects such as global warming, educational networks, environmental education, healthy eating and the culture of healthy soils. The 30 active participants were enthusiastic about the knowledge they gained during the event and we focused on activities that will be carried out in their surrounding areas. Each participant’s active commitment will expand the horizons of Environmental Education. We finished by covering each person’s future plans and decided that we will follow them up in the next meeting. During 21st-22nd June, we were fortunate enough to host 53 environmental educators from different Mexican states at the Sierra Gorda’s Earth Center. We welcomed participants from INEA, Educación Inicial, USEBEQ Querétaro, San Luis, UTSJR’s Jalpan campus, Jalpan de Serra’s council, Geovida Sustentable de Michoacán, Ecoeduca del D.F., Organismo del Agua Sinapas y Río Verde, CONAFE región Querétaro, COBACH regionales, and el Instituto Superior de las Huastecas San Luis Potosí. These educators are already committed to helping the planet; they have clear objectives and have already achieved results. They attended the meeting in order to share their experiences as educators and promoters of new alternatives to save the planet. We ended by making commitments and plans for each participant while agreeing to return next year to share the experiences; hoping to have achieved all objectives. We enjoyed delicious food and exchanged contact details so that we could maintain contact and repeat the experience next year. Congratulations to all our educators! Dogs put the Sierra Gorda’s wildlife more at risk than humans hunting activities. Groups of dogs that are not controlled by their owners go into the woods, hunt and kill any animal they come across. 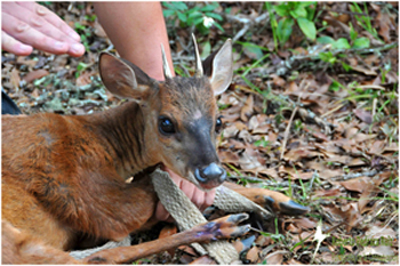 This beautiful male brocket deer (Mazama anericana) was pursued by dogs; however, it was fortunately rescued by humans, given to us and later released into one of our private nature reserves in order to give it a second chance. Unfortunately these are conflicts that are difficult to avoid. A special thanks to our partners (local, regional, state, national, international) for your support this year, we are committed to success. The youth celebrated World Environment Day in the Sierra Gorda Biosphere Reserve, strengthening the civil movement with work plans for 23 Eco Clubs collaborating with Grupo Ecológico Sierra Gorda, I.A.P., see more here. With Sierra Gorda Ecotours enjoy live experiences, choose yours! Explore the wide-range of options we have to offer you. Contact us for personalized itineraries for your group, family or school, including activities you can choose from the following menu. National Meeting for Educators in Nature Conservation. Objective: To bridge the different educational institutions on a national level for collective awareness and to establish new work relationships for environmental education in the country. In the first week of May one of the most important skill-building sessions of the year took place at the Earth Center: the visit and teachings of Iván Aguirre. He is one of the Savory Institute’s experts in Holistic Management, with vast experience after decades of holistic management on his La Inmaculada Ranch, located in Sonora State. 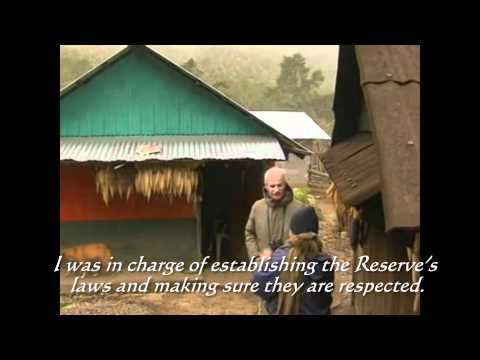 The Institute was founded and is directed by Mr. Allan Savory, a world expert who is revolutionizing land management methods and returning life to the soil with much knowledge and common sense. With time in the classroom and in the field, the skill-building sessions were intense and instructive. We were left with the clear idea that planning and decision-making with a holistic focus is necessary to finish and accomplish projects on all levels, not only those of land management. We were lucky enough to receive Rafael Hernández from INIFAP (National Institute of Forestry, Agricultural and Livestock Investigation) to give us a presentation on fruit tree management, on apple and apricot trees in particular. We were 42 participants of whom a third of us were employees of the Sierra Gorda Alliance (Grupo Ecológico Sierra Gorda y Bosque Sustentable) while the rest were fruit producers from Agua Amarga and Arroyo Seco. Rafael Hernández explained that the requirements for successful fruit tree management are the following: adequate selection of location and of the producer; you must manage the major risks well; you must have the sufficient resources; it is important to consider which varieties and rootstocks you will use; you must think about the production technologies that one will use; and commercialization and administration are some of the most important factors. At the end of the presentation, he proposed that we should continue with workshops in the field and then demonstrations of successful products. We all agreed. We attended the Art and Music Fair in La Redonda Vineyards, Ezequiel Montes, with a mobile stand offering regional products created by the different sustainable workshops in the Sierra Gorda, where the employees are primarily rural women. We had the perfect weather for the visitors from various parts of the Mexican Republic. We will announce through our Facebook page (be sure to click “Like”) the next time we set up shop so you buy our products. For the good of the productive projects, we hope to have even better results at the next fair in Vendimia on 16-17th July. This rattlesnake (Crotalus totonacus), which is endemic to the North East of our country, is enjoying the sunlight in one of our private nature reserves. It put up extremely well with being photographed without any form of attack and from there we continued our walk. I am sure that many Sierra Gorda inhabitants would have unjustifiably sacrificed this snake without thinking about it, leaving a gap in the forest. This would have showed once again that the most aggressive and inconsiderate species is our own, and not the myriad of species that form the biodiversity of our mountains. A Gift for Mom.- On this very special occasion, give Mom a trip to the Sierra Gorda where she can become acquainted with Franciscan Missions, the most amazing natural destinations, and artisan projects of the region while spending a weekend of rest and discovery within this beautiful Biosphere Reserve. Training for productivity.– Why continue poisoning the soil, food, and ourselves with expensive chemical fertilizers when we have the correct option in our hands? For this reason, during the month of April members of the Bosque Sustentable A.C. team (Sustainable Forest) carried out 10 workshops on the production of biofertilizers for 150 farmers and livestock producers in different Sierra Gorda locations. The ingredients of whey, molasses, manure, and rock flour, combined appropriately and “matured” anaerobically become the best formula for a very economic way of restoring the soil´s fertility without poisoning ourselves with fertilizers derived from petroleum. Once producers learn, they have no reason to return to dependency on agrochemicals with their high costs. Fresno Canyon, a new sanctuary for life.– With the continuing support of our UK partner World Land Trust, the Fresno Canyon has been incorporated into the network of private nature reserves. In the past, the canyon had been in the hands of a cattle rancher; now it will be able to recover from years of depredation and the clear-cutting suffered in some areas. Within its 150 hectares, the canyon contains temperate oak forests and exceptionally rich areas of cloud forests; there are more than 30 species of trees from Sweetgum to Mexican Rosewood, ancient oaks 40 meters high, and authentic labyrinths of limestone, since karst is very well developed there. Among the canyon´s inhabitants there are pumas, ocelots, Margays, kinkajous, porcupines, crested guans, green and white-fronted parrots, and the threatened and endemic singing quails. The canyon is, without doubt, an extremely valuable addition to the areas secured for strict conservation, and its establishment will contribute to maintaining the connectivity in an important biological corridor that forms the Sierra Madre to the east of the Reserve. An inhabitant of temperate, cloud, and tropical forests in the SGBR, this exemplar of tropical porcupine (Coendu mexicanus) constitutes the first photographic record for the State of Querétaro. Porcupines are rodents that spend most of their lives in trees, feeding on fruits, buds, and leaves; they take refuge in the cavities of old trees. 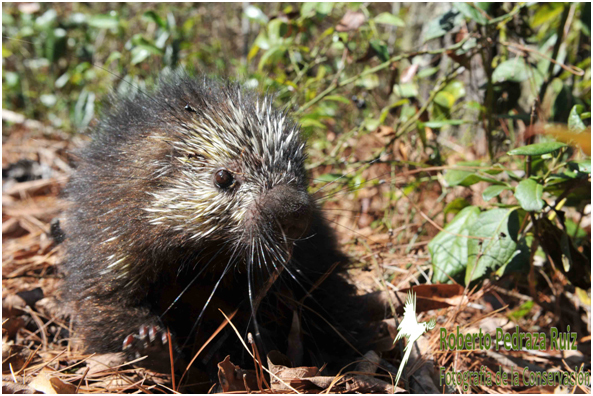 Porcupines are splendid creatures that live within the forest, and they are in danger of extinction largely because of habitat destruction from our activities and unconsciousness. The Voice for Civil Participation at the Dubai Global Energy Forum 2011, Dubai, United Arab Emirates. April 19th was the last day of the first global event of its kind in the Emirate of Dubai on energy related issues, and discussed the UAE’s and the world’s CO2 emissions and carbon reductions with inputs and news by some of the world’s most acknowledged energy experts. The Forum was held under the patronage of His Highness Sheikh Mohammed bin Rashid Al Maktoum, Vice President of the UAE, Prime Minister and Ruler of Dubai, and organized by the Dubai Supreme Council of Energy under the theme ‘Energy Challenges and Opportunities for a Sustainable Future’. Martha Ruiz Corzo, Director of the Sierra Gorda Ecological Group (GESG in Spanish), was invited to speak in the central theme of “The Role of NGOs in Promoting Sustainable Development”. Sierra Gorda´s experience in Mexico inspired the audience with its promising trajectory, attracting special interest for its world-class ecotourism and carbon offsets. Ruiz Corzo received congratulations from Sheikh Ahmed al Maktoum, the Chairman of the Supreme Council on Energy, expressing his intentions to visit the region in the near future. The Forum witnessed a large interest from local and global media, and the news of the opening ceremony was front page news in Arab and foreign newspapers. The Forum discussed over three days, nine main tracks and 48 papers and researches. Experts, decision makers, representatives of leading energy companies and NGO’s and leading scientists in the field of energy from 25 countries discussed various energy-related topics and ways to ensure sustainability and deal with challenges facing this vital sector. The civil society organizations in the Arabian Peninsula are marginalized in general and this was an extraordinary opportunity for Mexico to demonstrate the peaceful and collaborative partnership between the federal government and local civil society that has proven successful for the last 24 years in the Sierra Gorda mountains. Martha Ruiz Corzo was the first speaker, followed by her counterparts from the Emirates, Sheikh Dr. Abdulaziz AlNuaimiEnvironmental Advisor to the Ajman Government, UAEto comment on the role of youth in sustainability leadership, and Ms. Habiba AlMarashi Chairperson, Emirates Environmental Group, UAE; and the last speaker from Bahrain spoke to the great need for civil participation to protect he natural resources of the region. A new sanctuary to life . Once again, with the support of World Land Trust, we were able aid in the purchase and establishment of a new private nature reserve: el Cañón del Fresno. It is a unique place because of its rich flora and fauna, located in the heart of the Eastern part of the Sierra Gorda reserve, which forms part of an important biological corridor. With this purchase, the permanence of connectivity between its flora and fauna is guaranteed. Covered in cloud and temperate forest, this piece of land contains at least 30 species of trees, with a hundred year old oak trees up to 40 metres high; giant rocks that reach above the forest canopy of ancient fig trees; and a multitude of canyons. In the area live: pumas and jaguars, margays, ocelotes, viejos de monte, coaties, ajoles, chivizcoyos and a wide variety of amphibians and reptiles, including three types of venomous snakes. It is truly a unique location that will now be protected to perpetuity and reserved as a space of refuge for wildlife. Once again, we express our public gratitude to the World Land Trust, for being such an affective member and with whom we share our vision of protecting biodiversity and giving ecosystems priority. We are proud to be their partner in Mexico. Purchase the best hand-made products from the Sierra Gorda! Delicious conserves produced using solely organic ingredients: honey and fruits from the region. The creation process is 100% natural, with no conservatives or chemicals. Enjoy them now! Ceramic products, beautiful and useful. Keep yourself healthy with “VALE remedies”, herbal health products. It is now possible to enjoy a true adventure with your children in the Sierra Gorda of Querétaro thanks to Sierra Gorda Ecotours. A unique family escape! You will be able to taste delicious food products from the mountainous region, wich are made with ingredients from the area, 100% natural and delicious. Try them while observing the marvellous views of the surrounding area. Rural tourism is an important source of income for this stunning location, and respect for the natural surroundings is key to Preserving the most eco-diverse Biosphere Reserve in Mexico. Come and get to know it! A group of tree surgeons came to teach the Bosque Sustentable (Sustainable Forestry) team how to graft different fruit tree species together. Bosque Sustentable’s idea is that if they see that it is possible to graft the native nut tree with another species that produces marketable nuts, they might stop cutting down these trees and they will have another source of income. 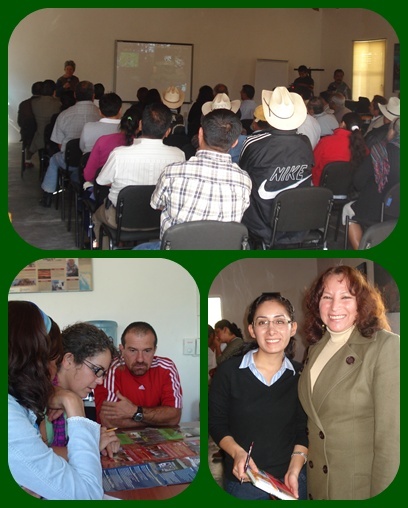 We invited the most enthusiastic farmers to a presentation on the theory of soil regeneration. All the farmers left happy in the knowledge that Bosque Sustentable would be providing them technical training and support from now onwards. At the end of March we held a skill-building session with a cow farmer in El Refugio, Arroyo Seco. One of Bosque Sustentable’s (Sustainable Forestry) promoters, Lucio Baldelamar Chávez, spent the day showing a family how to make bio-fertilizer and nutritional blocks for cows. The whole family got involved (father, son, mother and daughter) in each part of the processes. It was a very interactive day. AFEET (Asociación Femenil de Ejecutivas de Empresas Turísticas) al encuentro de la Sierra Gorda. On March 11th, a charming group of women tour operators from Querétaro came to get to know more about the most eco-diverse region of Mexico, “our” Sierra Gorda. To make our visitors fall in love with the Reserve, we offered them a 3 day sightseeing tour, with a program of beautiful discoveries. Their visit was very important because, as a result of the experience, discovery and learning about eco- travelling in the Reserve, we hope they will be able to recommend, with love and passion, the green jewel of Querétaro state to potential tourists. During these 3 days, they discovered that the Sierra Gorda is a magical place. For instance, in Cuatro Palos, a community in the municipality of Pinal Amoles, they admired the majestic scenery of the semi-desert Media Luna of Bucareli. After making lots of effort to walk to the viewpoint, where they were rewarded by a fantastic view, they returned to the cafeteria where “Made in Cuatro Palos” coffee and a local biscuit- cake, called “Mestiza”, were waiting for them. During the last two days, after a presentation of Sierra Gorda Ecotours by Teacher Pati, they went to La Colgada, a community where a group of 30 creative and courageous women run an embroidery workshop, where they lovingly embroider products with nature motifs. They also visited Concá, where a group of women run a conserve workshop. Here they saw how the group of women dry organic fruits and vegetables to create products for the “Pura Vida” brand. They produce honey, marmalades, conserves and other jarred products. After visiting La Colgada and Concá, they felt complete admiration for the value and quality of these women’s work. They left the Sierra Gorda, with their hearts full of love for the beauty of the region and for Teacher Pati’s actions towards the conservation of the Reserve. 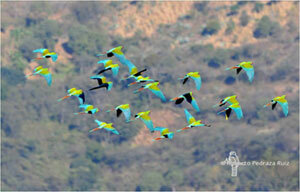 They went back to Queretaro, committed to support the Sierra Gorda Ecotours’ project. 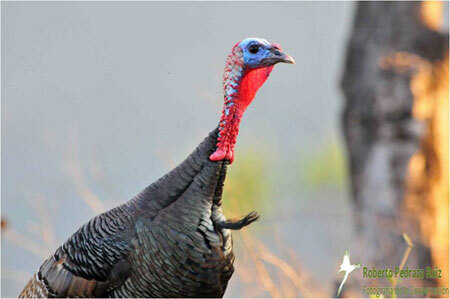 Nearly extinct in the Sierra Gorda due to illegal hunting and decades of destroying of their habitats, wild turkeys (Meleagris gallopavo) are a rare and especially elusive specie. The one in the photo is a young male, with its characteristic beard still small, and was accompanied by a female, constantly surveilling his territory for predators. Apart from being in the right place at the right time, it was truly lucky to capture this photo on the first attempt. We hope that this young male will be the father to many generations of turkeys that will return to the mounts where they used to roam and that will make the characteristic “gordogordogordo” turkey noise. Come enjoy a unique EXPERIENCE worth REPEATING! There are two attractive packages available to you the long weekend of March 18-21. Exploring and learning within the most eco-diverse Biosphere Reserve in the country through games and activities with your little ones. The tour begins with a trip to one of the highest points of the Reserve, “The Cuatro Palos Viewpoint,” which is an enigmatic place between the fog and the narrow forest path. Following the hike, you can regain your energy by sampling nutritious and delicious typical regional dishes that are made from natural products. You will have the opportunity to become acquainted with the forest´s services and benefits while the children are involved in an Environmental Education activity. You can purchase handmade goods such as clothing for girls and women, embroidered kitchen accessories, pretty ceramic tea sets, and delicious preserves made by hand with Sierra Gorda ingredients. During your stay, you also will enjoy the songbirds and the chance to swim in crystal clear waters. Discovering the best natural retreats and appreciating the special architecture of the Franciscan Missions in the Sierra Gorda. You will become acquainted with the elaborate architecture surrounded by the tropical vegetation of Las Pozas (The Pools) in which you can refresh yourself and then take a walk through the mysterious Castle of Sir Edward James. The five missions include: the Mission of Santiago in Jalpan; the Mission dedicated to the Archangel St. Michael in Landa de Matamoros; the Mission of St. Francis of Assisi in the Valley of Tilaco; the Mission of Our Lady of the Light in Tancoyol; and the Mission of San Miguel in Concá. Again, with support from World Land Trust in the United Kingdom, a property in an area of high biological value was acquired for strict conservation. “The Jagueycito,” located to the northeast of the SGBR in the upper Santa Maria River canyon, forms part of an important biological corridor. Due to its good state of conservation, the property shelters ancient oaks that are home to indicator species such as jaguars, ocelots, margays, curassows, white-tailed and brocket deer; all of these species are endangered, and now can find refuge in a new reserve free from chainsaws, cattle, and humans with rifles. Instead of being purchased by a cattle rancher to continue environmentally degrading activities, the property now will be devoted only to conservation.Through this means, we extend our thanks publicly for our partners in the United Kingdom who repeatedly have demonstrated their commitment and solidarity for biodiversity in the Sierra Gorda and in other places in the world. The Sierra Gorda Alliance has strengthened its relationship with one of the most prestigious conservation leaders in the world. Biologist Allan Savory is the father of the concept of holistic management. Savory has demonstrated that with proper management of land and cattle the soil can regenerate itself, restore its productivity, and sequester large quantities of carbon. Thanks to the Savory Institute with its headquarters in the United States and Africa, millions of hectares of grasslands, prairies, and savannas now are managed in a manner so that, instead of continuing to deteriorate, they have recovered their productivity, are much more profitable for their owners, and offer excellent habitat for wildlife. It is said that, paradoxically, cattle ranching can be part of the solution to the environmental crisis we face globally— that it’s all a question of management and appropriate practices. This past February 9, Technical Assistant of GESGIAP Roberto Pedraza Ruiz had a long working session with Mr. Savory and his team in Albuquerque, New Mexico. At the meeting, details were refined for four 2011 training sessions in which Savory´s team of experts will be visiting the Sierra Gorda. By the end of the sessions, we hope that holistic management will become a reality for several cattle ranchers in the area and, in turn, that it can be replicated and promoted in other areas of the country. It was certainly an honor to be given time within Savory´s busy schedule to learn first hand from a conservation expert on holistic management and, once again, to confirm that what we have facing us in climate change is an enormous challenge that we have little time to counteract. While there already are excellent examples of cattle ranches operating under holistic management in the Mexican states of Sonora and Coahuila, with this new alliance between the Sierra Gorda Ecological Group (GESGIAP) and the Savory Institute, we will be seeking to expand the work significantly to the producers involved through trainings at the Sierra Gorda Earth Center. For 20 years, the SGBR has been working with property holders to reforest degraded lands in order to sequester carbon from the atmosphere, restore the health of soils and watersheds, protect the biodiversity, and fight against climate change. This project also has significant benefits in sustainable development since it supports biodiversity in the most eco-diverse Natural Protected Area in Mexico and also provides local property holders with an income that permits them to abandon agriculture and cattle ranching. Currently, we have an extensive inventory from the most representative ecosystems of the Reserve that was carried out by researchers from the Monterrey Technological Institute and Superior Studies and Bosque Sustentable A.C. (Sustainable Forest) calculating the tonnes of carbon stored in each type of vegetation as well as the quantity of carbon sequestered by the reforestations of past years. Now it is possible to calculate one´s personal carbon emissions or the emissions of one´s business and to compensate for them by buying mitigation offsets in the forests and woodlands of the Sierra Gorda Biosphere Reserve. Bosque Sustentable A.C. (Sustainable Forest) is the operator of the Ecosystem Services Program. It has a relationship with the local communities and serves as a liaison between rural property holders and national and international investors. Bosque Sustentable A.C. provides technical consultation to property holders, monitors the conservation and management activities, and, through its activities, assures the continuance of the environmental services that the SGBR ecosystems offer. For this reason, and as part of an external certification process, Bosque Sustentable A.C. and the Sierra Gorda Ecological Group invite the public to give their opinions about the Carbon Sequestration in Reforestations Project as part of its validation according to international standards of the Alliance of Climate, Community, and Biodiversity and the Voluntary Carbon Standard. Comments will be received during an information meeting on March 8 at 11:00 a.m. in the Sierra Gorda Earth Center. As part of the validation from March 7-11, 2011, there will be a visit by the Rainforest Alliance organization auditor in the Earth Center facilities. William Arreaga (Auditor) appreciates your comments about the Carbon Sequestration in Reforestations Project that has been carried out in the municipalities of Pinal de Amoles, Jalpan de Serra, Landa de Matamoros, and Arroyo Seco (in the State of Querétaro) and in the localities of Xilitla and Aquismon (in the state of San Luis Potosí). Contact information for William Arreaga: E-mail, warreaga@ra.org; Address, 8a Ave 15-62 Guatemala City; Telephone, (502) 23835757. A meeting was held on February 17 at the Earth Center facilities to launch the project “Promoting a model of rural tourism for natural protected areas.” The event was attended by more than 80 people, including municipal and institutional officials, local business people, and others interested in being a part of this great project that aims to make the Sierra Gorda of Querétaro a world class tourist destination. The event included the participation of Ms. Pati Ruiz Corzo, who proudly spoke of why we should feel privileged to live in this beautiful region with all the opportunities it offers as the most eco-diverse Biosphere Reserve in Mexico. Ms. Ruiz Corzo also made use of the occasion to introduce the team that will be supporting this project under the coordination of Ms. Monica Perla Mendoza Pedraza. The invitation to join this new sustainable development opportunity is for the whole Sierra Gorda society. We want the tourists who visit us to enjoy their stay since their satisfaction is the best recommendation. During the project implementation, trainings will be conducted to improve customer service, education of guides, and product development. We will create the “Tasting Route” as an attraction for visiting the Sierra Gorda and for enjoying traditional dishes made with local natural products. The project “Promoting a model of rural tourism for natural protected areas” will directly benefit around 100 very small, small, and medium-sized enterprises (hotels, guesthouses, restaurants, inns, tour guides, travel agencies, transportation providers, and other tourist service providers) as well as the five municipalities and the local communities living within the Reserve. 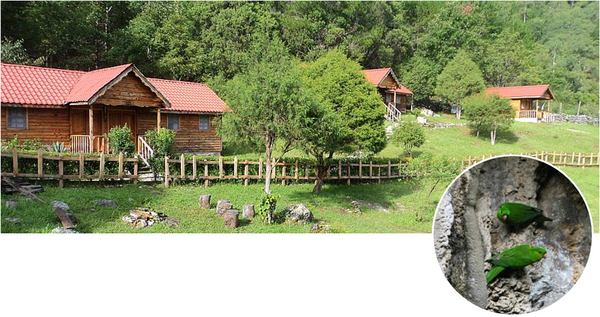 We invite you to become acquainted with the network of eco-lodges in the Sierra Gorda, a group of ecotourism projects administered by their own members. Currently there are 12 eco-lodges. On Friday, February 18, 2011, the first meeting of municipal presidents from the Biosphere Reserve took place in the Earth Center facilities here in Jalpan de Serra to create a proposal that effectively responds to the management of solid wastes in the region. The meeting was convened by Ms. Pati Ruiz Corzo who, in the face of the gravely neglected area of community sanitation, called on the City Councils to actively participate in giving this topic importance and priority in their work agendas. The first point of accord was the preparation of a regional proposal for the integrated management of solid wastes in the Reserve to give to Deputy Marcela Torres, who has promised to support this project. During the meeting, all of the municipal representatives participated, giving their opinions and expressing the different needs that are required for the effective functioning of this project that involves all of us. It is noteworthy that there already is a breakthrough in the development of Municipal Bands and their regulations in which the foundation for the development of best practices is being laid and that several municipalities have reached the point of launching a major initiative with people in all sectors for establishing the rules for a new stage of community sanitation and proper handling of waste. The production of educational materials and the community education sessions will be supported both by the Sierra Gorda Ecological Group and by youth organized in Eco-Clubs. We know that the population will join in and that people have been waiting for these new arrangements to become a reality. We will use the synergy and the momentum of having City Councils and authorities that have jointly decided to take action. We are confident that integrating the conservation management of the Biosphere Reserve will make our mountains a regional example where local governments and the civil society find a solution to what today is obscuring the beauty of the region and limiting the possibilities of tourism management that could allow us to reach new markets. This Blue-gray Gnatcatcher (Polioptila caerulea) is one of the 93 migratory species from Canada and the United States who each year have a punctual appointment with the forests, woodlands, and scrubland of the Sierra Gorda, seeking food and an escape from the cold temperatures in the north. Here they integrate with the local birds in forming mixed flocks, sharing food resources, and protecting one other from predators. The bird in the photo—like many others—has spent the winter in the woods near our office. Join the action on Facebook, Twitter, Youtube, blogs and the Community of Sierra Gorda, so you can find local products and services in tourism and training as well as help spread the actions and increase the synergy for these mountains. Administration and Public Relations: 12 international memberships; 10 online services operating, and active presence on social networks; ongoing presence in top-level national and international forums and events; a growing network of partners and allies. Training for Conservation in the Earth Center: 16 on-site workshops with 780 attendees; two cycles of the online Diploma course with 51 graduates from 20 states of the Republic; local, national, and international experts sharing their experiences and knowledge; “tropicalization” of knowledge, transference, and training. Environmental education: 49 Earth Festivals with 6,137 participants; 14,820 students from 160 area schools; 109 plays; 21 murals; 38 large signs; and 25 nature appreciation excursions—all in an ongoing effort since 1989. SGBR social networks: 21 Eco-clubs within and 7 outside the RBSG; 2,248 members; 330 community connections; 356 sensitized promoters of other networks in 11 workshops; operation of the only rural recycling network in Mexico; 110 Collection Centers; two local micro-enterprises operating; 500 Clean Community posters distributed and displayed. Product diversification: 148 beneficiaries in 22 projects in progress; focus on generating, building, and scaling up local skills; models replicable to other rural areas. Lands for Conservation: 40,000 hectares of forests and woodlands under Payment for Environmental Services schemes; 3,800 hectares protected as Private Nature Reserves; development of a basket of Ecosystem Products and Services. 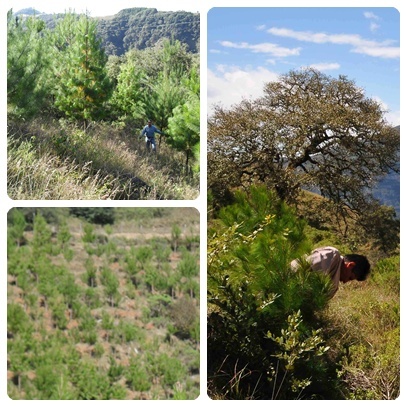 Restoration of micro-watersheds and soils: 12,400 ml of living barriers; 836 m3 of filter dams; 24,047 ml trench fencing; 14,088 day´s wages; 70,000 young trees produced in the nursery of Bosque Sustentable A.C. on 75 hectares; reforestations in 17 communities; management and updating of GIS data; 846 hectares in agro-forestry management; 13 farms under technologically intensive management with 86 hectares; genetic improvement and development of regeneration work in Keyline design. We invite you to get to know the Sierra Gorda Biosphere Reserve! The Sierra Gorda Biosphere Reserve (SGBR) is one of the priority areas for conservation in Mexico due to its rich biodiversity, high degree of conservation, and outstanding citizen participation in conservation work. The Inter-American Development Bank (IDB) selected the Sierra Gorda Ecological Group I.A.P. 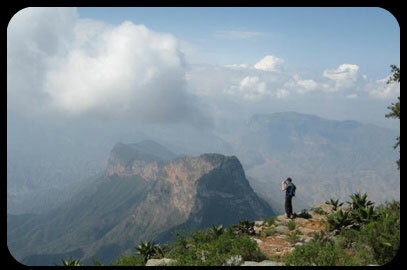 (GESGIAP) to develop a full-scale project on “Sustainable Tourism in the Sierra Gorda.” The cultural attractions of the Sierra Gorda include five Franciscan Missions that were declared World Heritage Sites by UNESCO, colonial edifices and architecture, museums, and archaeological sites of particular interest. Take note that Jalpan de Serra is the geographical center of Mexico, has been designated as one of the Tourism Minitry´s Magical Villages for its colonial edifices and special atmosphere. All of this is surrounded by the natural and scenic richness of the most eco-diverse protected area in Mexico, offering a wide range of destinations and unique natural phenomena to inhabitants and visitors. Again with the support of our excellent British partner World Land Trust UK, the network of private nature reserves of the SGBR is expanding and will cover about 4,000 hectares, consisting of land acquired for their important biological value and now dedicated to strict conservation. The new reserve of 125 hectares is located north of the Reserve´s polygon near the Santa María River Canyon precisely where jaguars, pumas, ocelots, margays, threatened curassows, red-headed parrots, and other valuable species find refuge in the ancient oak forests. If it had not been purchased, the property would have been subjected to cattle ranching at great cost to the biodiversity of our area and our country. From now on, there will be an end to chainsaws, thus significantly lowering the risk of fire, cattle browsing, and the presence of people with dogs and rifles. Instead, the area will have surveillance and fire prevention work, and it will be dedicated to conservation in perpetuity. This will permit the reserve´s regeneration and will convert it into a real sanctuary for wildlife in the area. With enthusiasm for and commitment to the Sierra Gorda, Eco-club members released the results of solid waste management in Sierra Gorda municipalities during a press conference held on January 22 in the facilities of the Earth Center. The purpose of this meeting was to show and highlight the work of municipalities and to invite the society to contribute to the care of the environment through the separation of recyclable materials. The proper management of municipal solid waste should be a joint effort between the society and government; for this reason, Eco-club members conducted surveys that allowed them to find out the level of citizen participation and the support that each County is offering to its population—which yielded different results. Congratulations to the Landa de Matamoros Municipality, which stood out in the region for its management of solid waste. Unfortunately the effects of climate change have harmed the Sierra Gorda forests as extreme weather events have reduced their natural defenses and thereby plagues have proliferated, such as the bark beetle pests and a variety of mistletoe. We have no effective responses to help mitigate these effects. As a result, the Sierra Gorda Earth Center held an interesting meeting in which agro-homeopathy researcher Dr. Radko Tichavsky and radionics expert Dr. René Latapí along with members of the University of the Environment and other guests worked together to define strategies for the establishment of demonstration plots where the noble healing of both systems give us hope for real solutions to mitigate their effects and the proliferation of such pests. For several years, we have participated in the Council on Biodiversity and Degraded Ecosystems of the World Economic Forum, which recently was held in Dubai. Although climate change is an issue on the table, the role of forests and woodlands remains dissociated, and the bio-capacity of the Planet and the vital ecosystem services of Nature are supported without joining forces with business, large corporations, and world leaders. Disgracefully, they only speak of climate change without understanding the urgent need for taking measures in the protection and conservation of forests and woodlands and in compensation to their owners. We are confident that the only way to change deforestation through conservation is to confer an economic value to the Planet’s natural infrastructure and to manage this biological fabric as a service that provides us undeniably vital benefits. We need a visionary investor who decides to bet on the conservation of this natural infrastructure. Always seeking ways to bridge the gap between global decision makers and the local realities that are so very distant from them, we attended the Conference of the Parties on Climate Change, referred to as the COP 16 that took place in Cancún in December. Although it was a global conference, it was not very fruitful. Certainly, for the Sierra Gorda project, it meant good meetings so we arrived with our “Basket of Ecosystem Products and Services” at hand. A variety of experts provided their experience and knowledge related to our “basket,” making it ever more so a unique product ready to launch publicly. Along with the certainty gained from our work and experience in the development of the REDD (Reducing Emissions from Deforestation and Degradation) Plus Project—the Sierra Gorda project—we have answers. The Sierra Gorda Alliance been implementing a number of sensible measures and actions to reduce deforestation using a participatory model in which landholders have been participated in educational training and conservation efforts for many years, thanks to a civil organization with tools that have proven their effectiveness and a unique social engineering to bring the commitments to a successful conclusion. The Alliance for the Conservation of the Sierra Gorda Biosphere Reserve is grateful for the support of each of our sponsors and partners who have enabled us to continue the preservation and sustainable development of our beatiful region in the heart of Mexico. Your generosity is making a difference in the communities ecosystems, and species of these mountains and your support has been invaluable. On behalf of biodiversity, thank you very much! Join the action on Facebook, Twitter, Youtube, blogs, and the Sierra Gorda Earth Center Community, so you can get to know the regional products and services in tourism and training as well as help spread information about the activities and increase the synergy for these mountains. Donating is helping citizen projects with critical funding. Thanks to a recent campaign, we have raised 80% of the funds needed to repair the roof of the embroidery workshop of the women of La Colgada. A conservation area full of communities (original). Since 24 years ago, constantly and vigorously, Grupo Ecológico Sierra Gorda and the alliance of local civil organizations have been weaving solutions to manage a conservation area full of extreme poverty communities that own the natural capital where the jaguar and extraordinary biodiversity find refuge in the Sierra Gorda Biosphere Reserve (Mexico) and where the traditional agricultural and livestock practices and governmental programs have caused the serious deterioration of natural resources by providing incentives to start forest fires and extensive grazing that is so out of place. Ignorance at all levels, generalized inertia, indifference in the face of significant environmental problems, public policies and global mechanisms that are out of context, a society accustomed to letting others take action, the corruption and the weakening of our social fabric, and finally, vital natural resources are diminishing and extreme poverty is growing in local communities. We have sought to cultivate a citizenry that recognizes the maternity of the Earth and build the practices and skills that allow for innovative management, restoration and conservation of ecosystems; a critical mass of citizens that work to conserve their environment thanks to the active participation of 18,000 kids every month for 24 years in permanent activism for the planet and through every means gaining the involvement of society in general – not leaving one door untouched. What tools have brought success? Perseverance, enthusiasm, ownership, joy, faith in the unlimited possibilities of life, love for Nature and kinship with biological diversity, being ever ready to innovate, seeking answers under every rock, “tropicalizing” the tools and the rules, taking risks, gaining experience, having friends at every level and public relations from the bottom to the top, and the undeniable forces of nature which we call family and taking this awareness to every level. When I connect to abundance and leave behind the daily shocks of a civil society organization´s (CSO) economy that is so overcome by the deficiencies in the official agencies with such mediocre leadership, the Grupo Ecológico Sierra Gorda organizes to directly work with 42,000 citizens and the tremendous social organizing that must be maintained in action as well as the connection between the two worlds where we operate. We attract public and private funds oriented to sanitation and conservation, water capture, micro-watershed restoration or thousands of small activities all designed to permeate. A continuous presence of community-based environmental education is the motor of this new mountain culture in the Reserve. I commercialize a whole basket of products and services provided by these communities in order to increase the economic opportunities being generated through restoration and conservation. When connected to abundance, I replicate; extend my work area; share my strategies, my feelings for the motherland and my faith in social entrepreneurship.